and i had fun making it. 1. fold green felt in half lengthwise. 2. cut from one corner to the opposite corner. 3. open felt and you will have a large triangle. 4. fold it lengthwise again, and mark where you want your boughs to be. 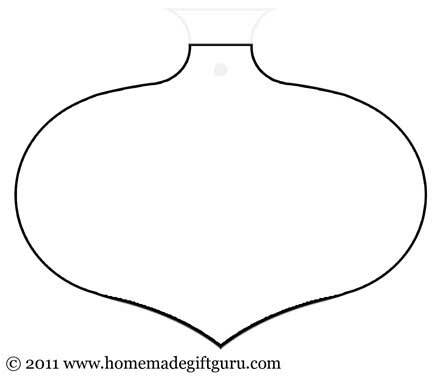 5. cut in straight or curved lines to make the boughs. 6. unfold it and you will have a symmetrical tree. 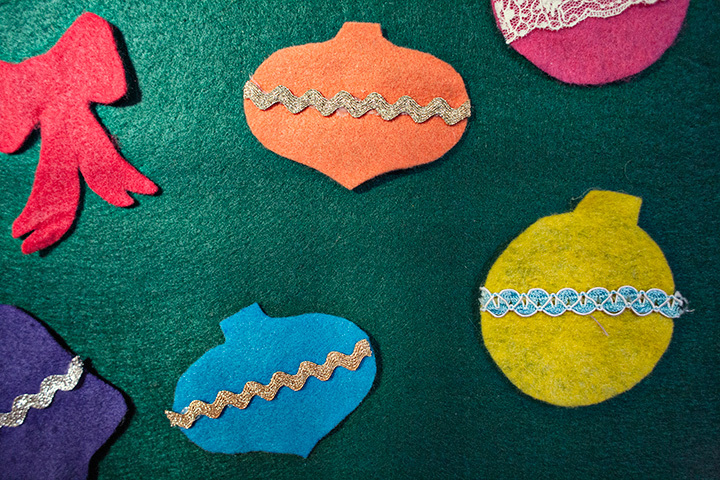 7. trace your ornaments onto felt (folded in half to make double). 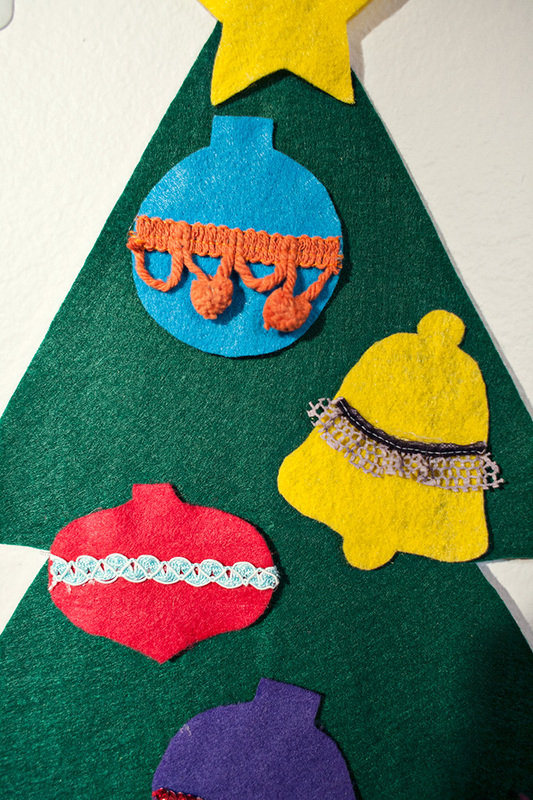 8. cut out, and use glue gun to embellish. 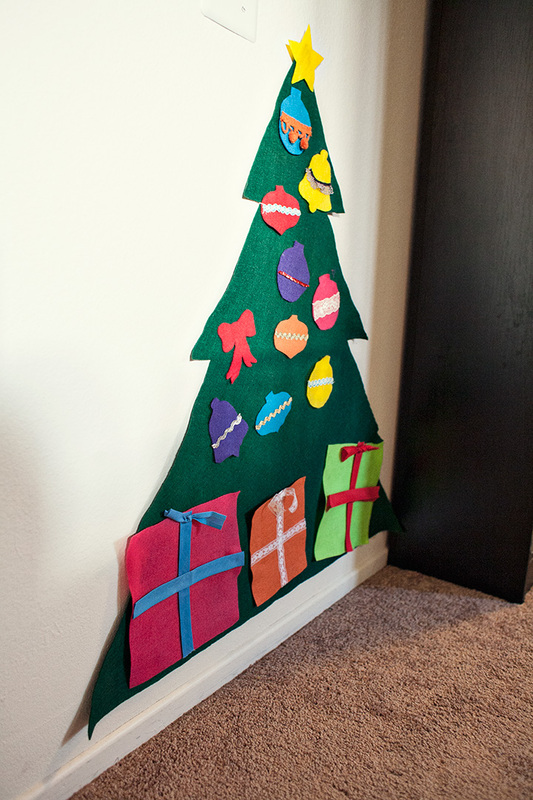 9. cut out squares/rectangles for presents and use glue gun to embellish. I love this SO MUCH. I am totally going to do this for Christmas this year! Especially having two little ones! I'll make you one! I have tons of felt left!!!! !